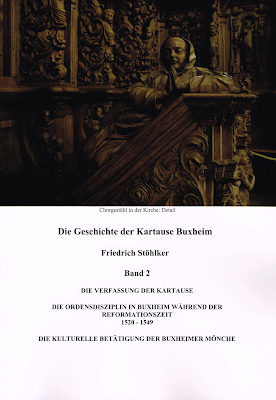 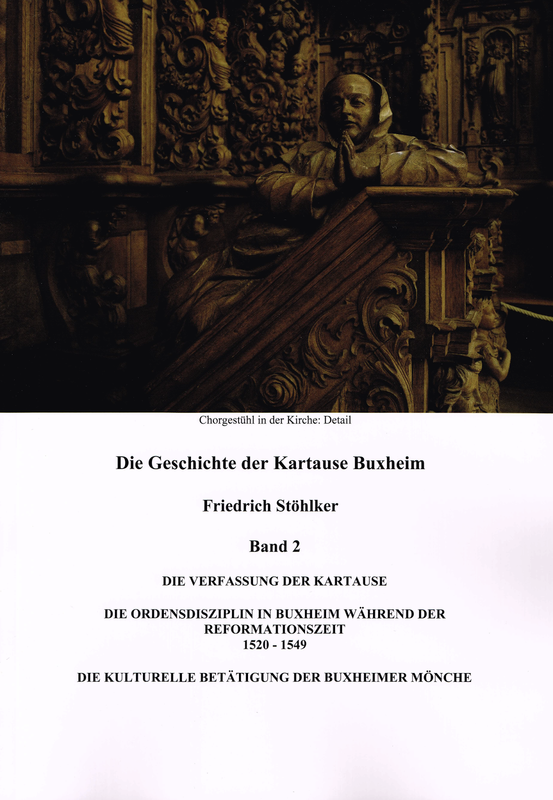 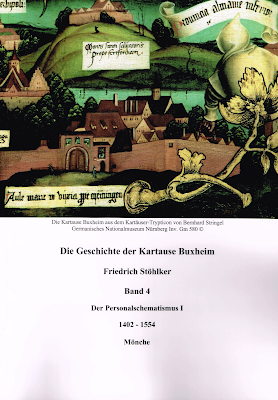 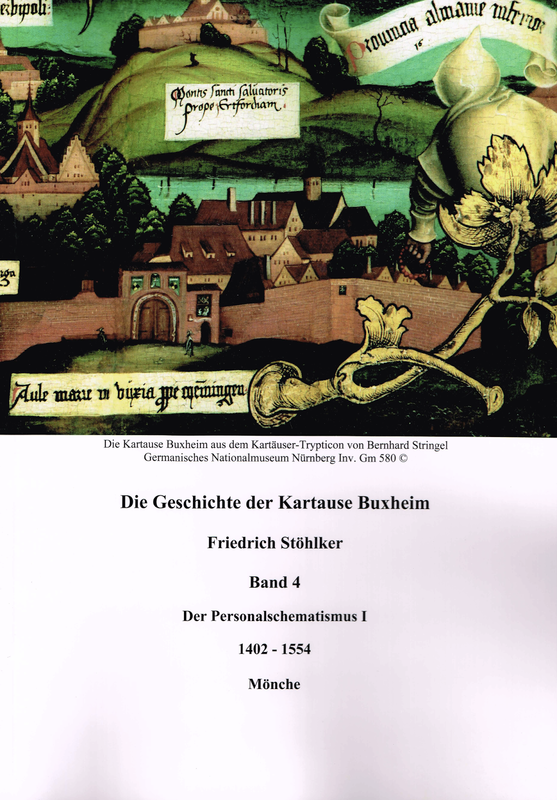 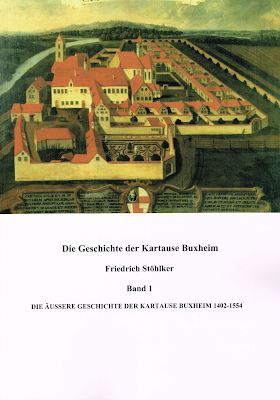 The first printing of Dr. Stöhlker's monumental history of the Charterhouse of Buxheim was undertaken by the Heimatdienst Buxheim on the recommendation of Dom Aegidius Kolb OSB of the Abbey of Ottobeuren in four modest volumes 1974-1978 and has long been available. 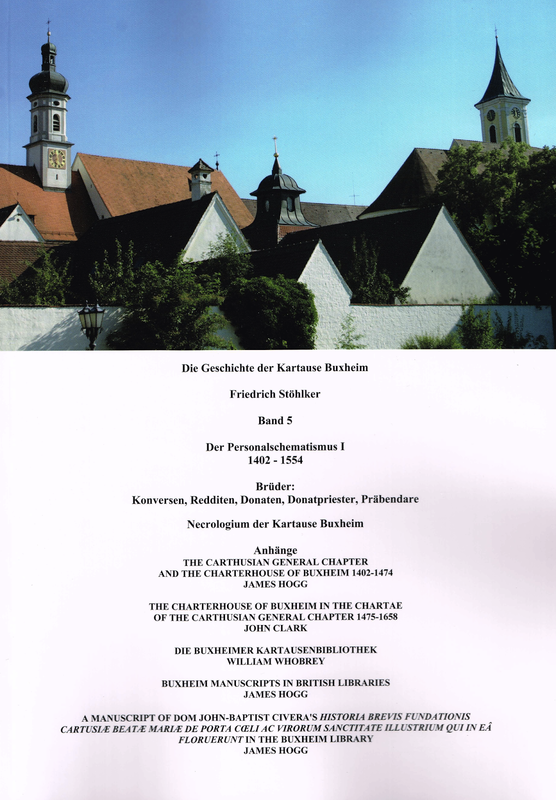 I am particularly grateful to Dr. Johannes Hoyer of Memmingen for his help in embellishing these volumes and to the Heimatdienst in Buxheim for their financial aid in making the venture possible and for their untiring efforts to keep the Carthusian heritage alive in Buxheim. 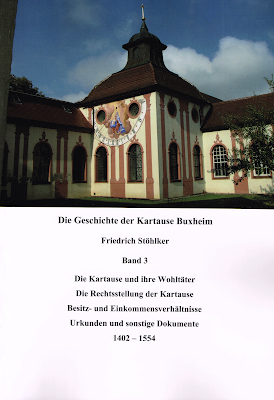 und Kulturamtsleiter Dr. Hans-Wolfgang Bayer.